Brad Enzi’s selection as the new president and CEO of the Laramie Chamber Business Alliance has raised eyebrows among the city’s elected officials, at least one of whom is concerned by his tenure with a company involved in a multi-million-dollar fraud against the United States government. Under questioning from a Laramie City Council member last month, Brad Enzi denied any wrongdoing and said he was transparent with the Laramie business development group about his 12-year stint as an executive with Denver-based North American Power Group, including serving as the company’s public face and the chief promoter of the defunct Two Elk Power Plant project south of Gillette. Despite repeated requests from WyoFile reporters, Laramie Chamber Business Alliance board members, including chairman Dave Coffey, have so far refused to comment on the hiring process. The non-profit organization holds a $110,000 annual service contract with the city of Laramie and regularly secures and manages grants from state agencies. Enzi — son of U.S. Sen. Mike Enzi — resigned from North American Power Group as its vice president and chief Wyoming representative on Aug. 10, nearly two years after North American president Michael J. Ruffatto admitted in federal court to stealing $5.7 million from a 2009-2010 stimulus grant to study carbon storage potential on the company’s Two Elk property. Approached by a reporter outside the council chamber, Enzi refused to elaborate. However a July 2017 foreclosure notice printed in the Wyoming Tribune Eagle suggests that he may have been under financial pressure to continue drawing his North American Power Group paycheck. Ruffatto is now serving an 18-month sentence in a California federal prison. 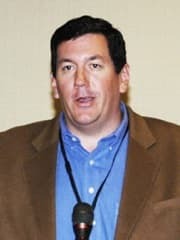 Brad Enzi was not named in federal charges although records indicate he was paid more than $100,000 from federal stimulus funds — compensation that federal auditors termed “questionable” because virtually no work was done on the Two Elk carbon study for which the funds were granted. In earlier interviews he has denied any knowledge of compensation coming from stimulus funds, saying that he did not know how his work was billed to the government. 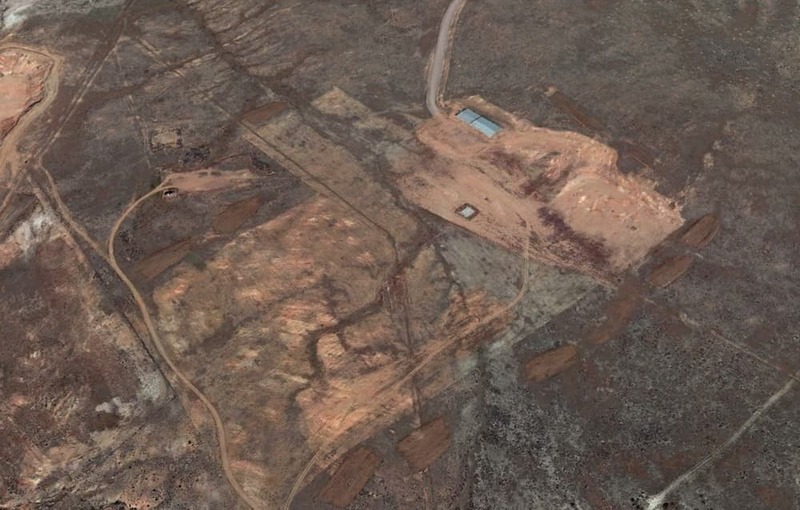 Michael J. Ruffatto, promoter of the never-built Two Elk project near Gillette, pleaded guilty to federal criminal fraud charges. “I don’t mean to be obtuse,” Enzi said in 2011, “but I have no idea how the bills back out. I just turn in my time sheet to Denver. Project administration is handled through that office.” Federal records show that Enzi was paid as much as $17,363.72 in one month — August 2010 — for his reported 182.5 hours work that month on the stimulus project. Government prosecutors concluded that virtually no work was done on the stimulus grant. Ruffatto and North American Power Group have also been slapped with an additional $8 million in civil penalties. Federal liens have been placed on Ruffatto’s sprawling estate in Cherry Hills Village south of Denver. Enzi’s new position includes overseeing a contract with the city and securing economic development grant money from the state for incoming businesses. But as a private nonprofit, not a government entity, the LCBA’s hiring process isn’t subject to public disclosure. Laramie residents didn’t officially know Enzi was a candidate until a press release announced his hiring weeks before he started the job. Pearce said Enzi’s backstory could concern business owners and investors eyeing the city. “The reality is that if you’re going to bring a business to Wyoming or to Laramie that group of people is going to be aware,” of Enzi’s affiliation with Two Elk, Pearce told WyoFile. Enzi told the city council members he was ready to move past his more than a decade-long tenure with NAPG, which he called “a troubling and trying time” in his life. He was excited to build Laramie’s economy and happy to be back in the city where he played college basketball, he said. Pearce asked how Enzi would win Laramie residents’ trust, and the physically imposing former athlete said it would take both time and open minds. Though perhaps a difficult time for Enzi, the Laramie economic development group offered a quick job transition. He quit NAPG on Aug. 10 after he was hired to lead the LCBA, he told the council. He took over the LCBA on Aug. 13, according to a press release from the organization. Ruffatto pled guilty in October 2016. Enzi said his last conversation with Ruffatto was by phone on Aug. 10, he told the council. “It was to try and track down money that was owed to me,” Enzi said. Approached by WyoFile after the city council meeting, Enzi declined to comment further on why he stayed with the company for two years after the CEO pled guilty to fraud. Instead, he accused the news outlet of reporting the story incorrectly. 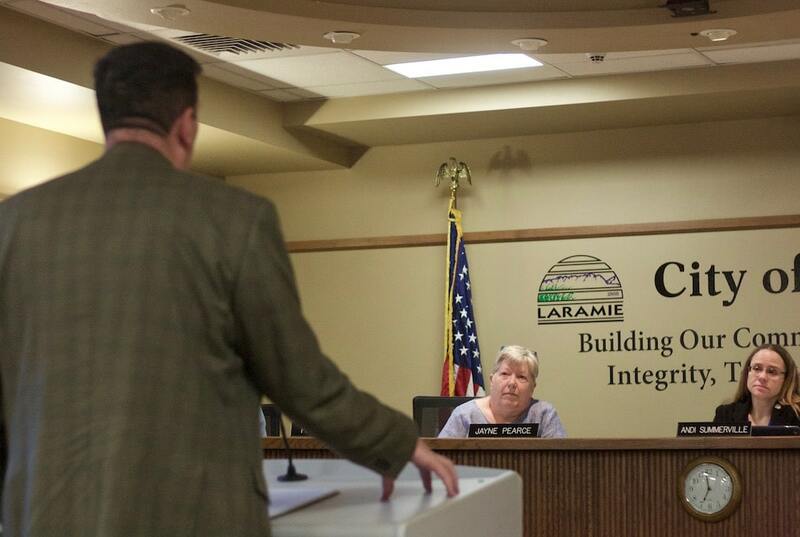 “Nope, I’m done,” he said as he walked away from a reporter and out the doors of Laramie City Hall. He did not respond to a follow up email requesting an interview or further comment. Though the Wyoming project is stalled, NAPG continues to own half interest in two plants in California. Ruffatto has been trying to sell the plants in an attempt to meet the restitution obligations that were part of his settlement deal. In his new job, Enzi will seek to attract businesses to Laramie and develop projects that could increase the city’s appeal to those looking for a place to set up shop. “I like to set a mark and then we’ll go after that and keep chasing it,” he said. He saw opportunity in Laramie because of the university, he said, which both put the community in touch with the rest of the state and created a research hub in town. Though not a government entity, the LCBA has routinely been involved in seeking state economic development grants to boost Laramie’s economy. The LCBA has a contract with the city for $110,000 a year to develop the economy. The city contract is just one of the intersections between the nonprofit’s work and taxpayers’ money. The LCBA partners with the city and businesses to secure money from a wealth of economic development grants and loans available from state coffers. What role the LCBA plays in such development endeavors often varies, according to Julie Kozlowski, Community Development Director for the Wyoming Business Council. The Cirrus Sky Technology Park on the east edge of town is one such endeavor. The project — a business park designed to draw in technology companies — paired a $5.4 million state grant with $3 million in funding raised by the city, the LCBA and the university. Enzi will be involved in finding tenants for the facility, which to date has drawn in just one company. Over the last two decades, the LCBA has played a role in projects that have used more than $12 million in grant money from the Wyoming Business Council. David Paulekas, a city councilman who serves as the council’s liaison to the LCBA, criticized Pearce for publicly questioning Enzi about Two Elk. “If there was a question by the council about whether that hire was appropriate it should have been made to [the LCBA board],” Paulekas said. WyoFile reporters left voicemails for LCBA board members Warren Greaser with Rawstone Development, Todd Pearson with Albany Insurance Agency and Mike Peck with First Interstate Bank. Principally, WyoFile unsuccessfully sought comment from board president Dave Coffey, of Coffey Engineering & Surveying, through emails, a voicemail and visits to the engineering firm’s office. Coffey and Enzi are around the same age and share a background in college basketball — while Enzi played eight games as a walk-on player for UW, Coffey played on a full scholarship at the Colorado School of Mines, according to his LinkedIn profile. Paulekas said he was informed that the Two Elk story was discussed during the hiring. “I was told after the fact that they were aware of the whole situation up there and that they had a conversation with Brad Enzi during the whole interview process about what transpired,” he said. Though not involved in the hire, Paulekas, who did not attend the September council meeting, said Enzi appeared innocent of any wrongdoing based on the story he was aware of. “I’m sorry but I’m going to give the man the benefit of the doubt,” he said. Pearce, however, said that given the Two Elk story the board should have been more transparent and made an effort to engage the community with the new hire. Doing so would have kept her from having to question Enzi about Two Elk at the city council meeting, she said, which was the public and their elected representatives’ first chance to consider the new hire. More than a dozen of her constituents had reached out to her with concerns about the hire, she said. “They needed to be open and they weren’t,” she said of the LCBA. Ultimately, Pearce thinks that Enzi has the character to succeed in boosting Laramie’s economy and hopes that he does so, she said. But in her mind, it was incumbent on the LCBA board and Enzi to address questions Two Elk and assuage community concerns, not her. “He should not hide from this,” Pearce said. Unfortunately same old , same old , …wondering when or if Wyoming is ever going to wake up and see these DC Charlatans , aka WY “DC Delegation” for what they are…imposters, posers…. And now Laramie grabs onto the coat-tails of someone already holding ,still, onto his father’s coat tails…. There is “out there” so much vibrant talent and energy…and yet why choose a hanger on over NEW ! Thank you Mr. Graham and Mr. Tempest for your persistence (!) in reporting against lack of transparency. Fellow citizens, please consider the seemingly endless, Orwellian ironies of “Drain the swamp.” What is our actual definition of corruption? And, yes, sometimes people make mistakes; we should not trust them unless they become transparent about those mistakes. I’m glad that you have such a high opinion of Brad Enzi and you may be absolutely right. He might be a great guy. But, you have to admit the LCBA should have gotten in front of this story and have been more transparent. Also, if Enzi is such a great guy, he should own up to (or at least explain) some of the weird parts of his resume. That would be expected of any potentially employee. My question to you Sir : would Brad have been hired at Two Elk or Laramine Business Council if his last name were Sanchez, or Smith , or Stern ? I have to ask how anyone in Wyoming’s leadership and the various economic development cabals honestly expects the ENDOW program to succeed in attracting new clean modern businesses to Wyoming if we keep living down to our reputation ? I’m just glad I live upwind of Cheyenne and Gillette , and now Laramie. Point well made, Vanderhoff. “Living down to our reputation?” Five perfect words, one sad truth.